By olduvai in Geopolitics on February 13, 2019 . It was tweeted in a thread focused on Netanyahu’s meetings with Arab delegates at the US initiated conference which was originally touted as focused on the “Iran threat”. 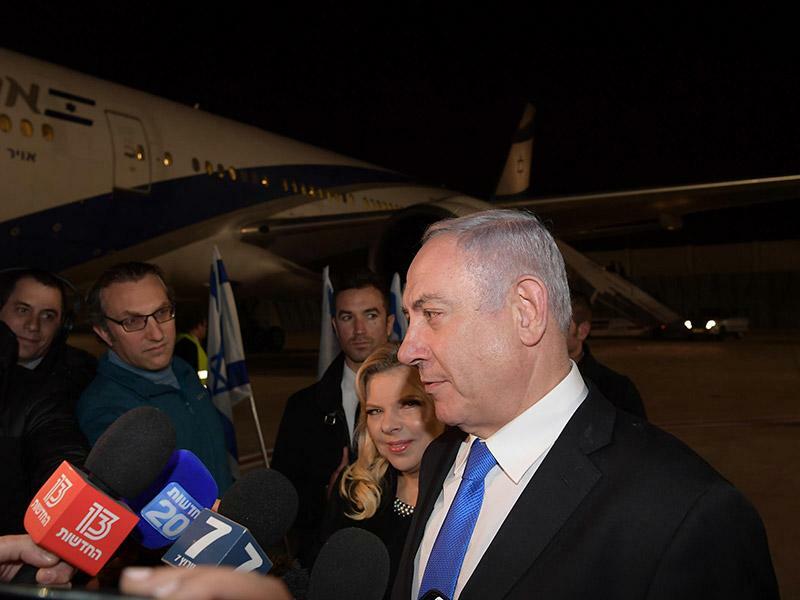 The AP also confirmed the Netanyahu tweet, which quickly generated multiple headlines focused on what appeared essentially a declaration of war. 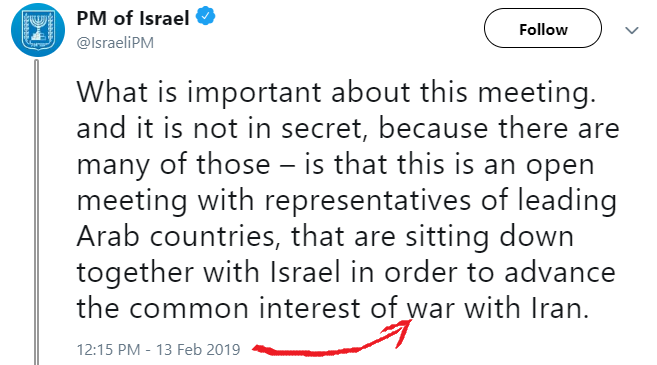 After being up for about an hour the tweet was hastily deleted, and replaced with the same statement, but instead of “war with Iran” the new tweet was switched to “combating Iran”.